An overlanding dream is a blank canvas, and how you colour in that blank canvas is, in many ways, a reflection of your personality. Every trip is unique—a product of the different experiences sought by the people undertaking the journey and their own particular taste in travel. My overlanding has always been of the somewhat left-field variety. Since my interest in travel is equalled by my interest in cars, the character of my journeys has often been dictated by the vehicles I’ve chosen to undertake them in. 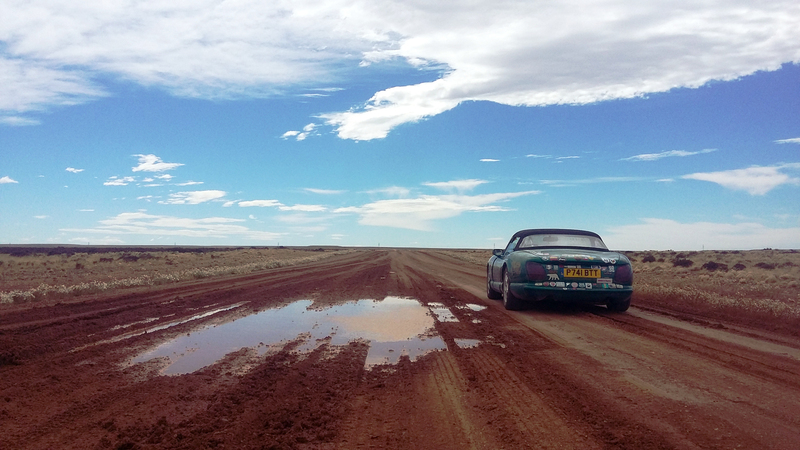 From crossing Africa in a classic Porsche to driving a Corvette from England to Singapore, I’ve always looked to push the boundaries of just what’s possible with an unusual steed and a sense of adventure. 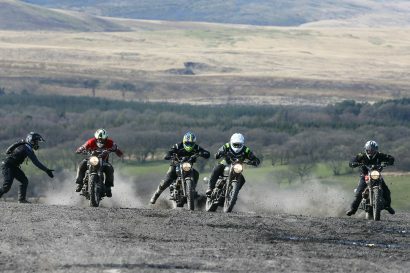 And it’s this passion for irreverent adventure, inspired by the free-thinking atmosphere of a traditional British pub, which led to the idea behind my latest journey. I mean, who wouldn’t want to attempt a journey from the northernmost bar on the planet to the southernmost? 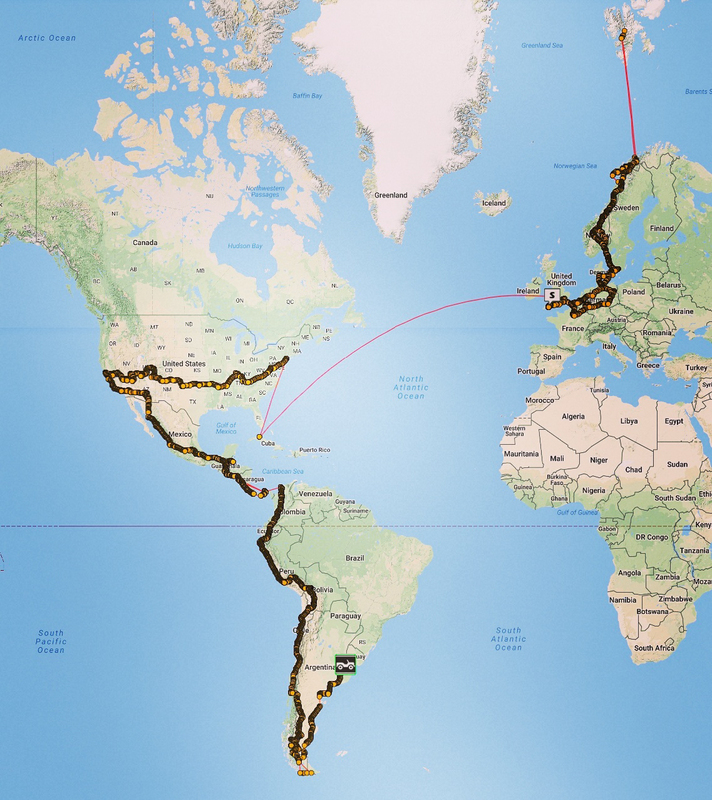 This thought was the spark which grew into a dream, a dream which encompassed a 27,000-mile road trip across 25 different countries, on three different continents, from Norway’s high Arctic to the wilderness of Tierra del Fuego. And my steed for the trip? Well, seeing as the idea began in the pub, there could be no better option than a classic British sports car–a TVR Chimaera, to be exact. These cars are a rare enough sight in England and are virtually non-existent in the Americas, but for eight months, the fibreglass, open-topped machine was my home. Each day would begin as I coaxed its thunderous V8 to life, and every mile of progress required a careful approach to avoid damaging its low-slung underside. Looking back on those eight wonderful months, the memories are an amazing kaleidoscopic blur of new faces, landscapes, and experiences; truly, a part of my life to treasure. But as the march of time softens the memories and merges them together into a blur of happiness, some of the most memorable moments from those months on the road still stand out. Moments so vivid that the emotions I felt as they occurred are as strong as ever. And it’s those moments I’ll be describing in this feature. Think of it as a distillation of my journey into a series of stand-out experiences. The experiences which stirred my soul. 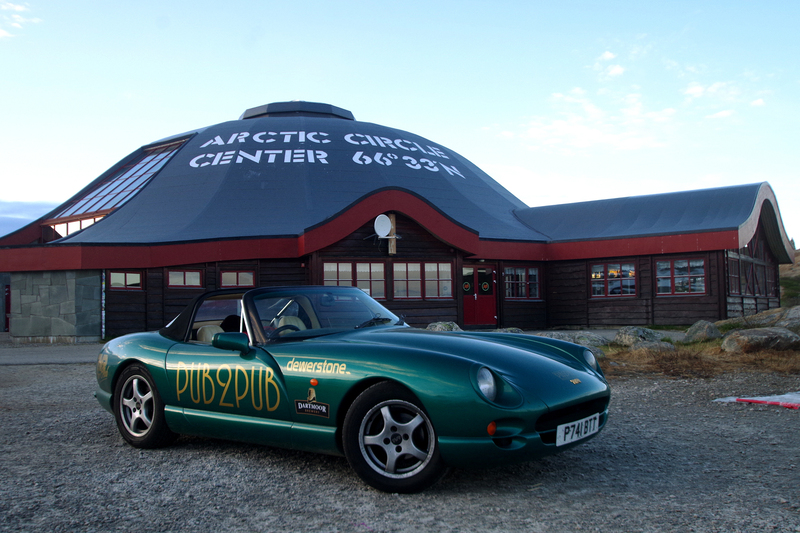 Dropping into an abandoned Soviet ghost town for a pint at the world’s most northerly bar. The mines had fallen silent decades ago, and the whole town now mouldered in silent decay. Situated only 700 miles from the North Pole, it never really stood a chance, and the High Arctic tundra was slowly reclaiming it. 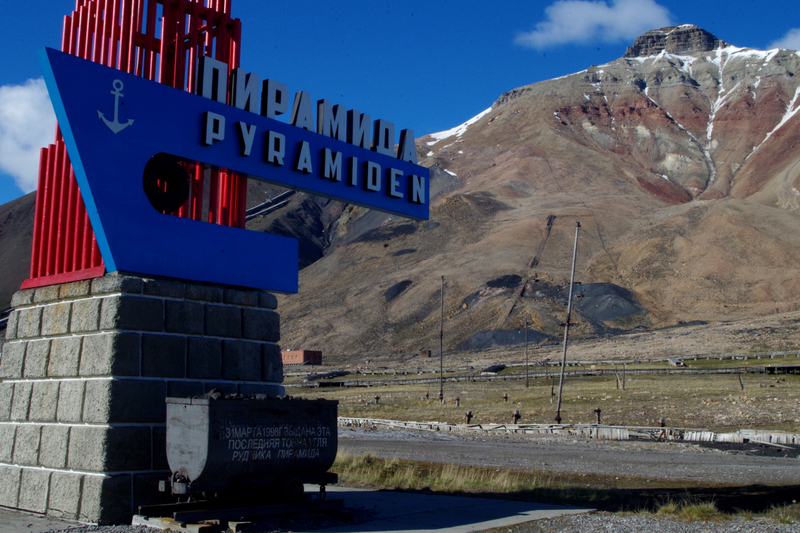 In Soviet times, Pyramiden was home to 1,200 people. Today, it is a ghost town on the edge of the world. Accommodation blocks stand silent—seabirds are their only inhabitants now. The chill air plays among the buildings, cooled by a glacier which sweeps down into the sea nearby. A statue of Lenin gazes unmoved across the Communist folly, while long-forgotten signs warn of polar bears. Inside the hastily abandoned buildings, the past speaks from across the ages. A piano sits silent in the former cultural centre, sheet music still in place while miles of film reel litter the floor of what was once the world’s northernmost cinema. Newspapers lay abandoned on desks, and old calendars still cling to years gone by as the paint peels from the walls around them. Only one building remains inhabited by the hardy few who continue to cling on to an existence here: the Old Town Hotel. And in the hotel, there is a bar. We wandered in from our melancholy explorations and bought a symbolic round of beers. Braving the heat in North America’s toughest landscape. The thermometer in Furnace Creek read 122°F. Overhead, the malevolent sun blazed down relentlessly, bleaching the life out of the parched swathe of sand and rock in which we found ourselves. A heat haze shimmered, softening the landscape, while the impression of sheer uninhabitability was emphasized by scattered, bone-dry salt flats. The battle with dehydration seemed impossible to win, and we were suffering. The overnight low had been 100°F, and a sleepless night in our tents had left us fatigued and lethargic. However, our fragile little English sports car simply hadn’t noticed. 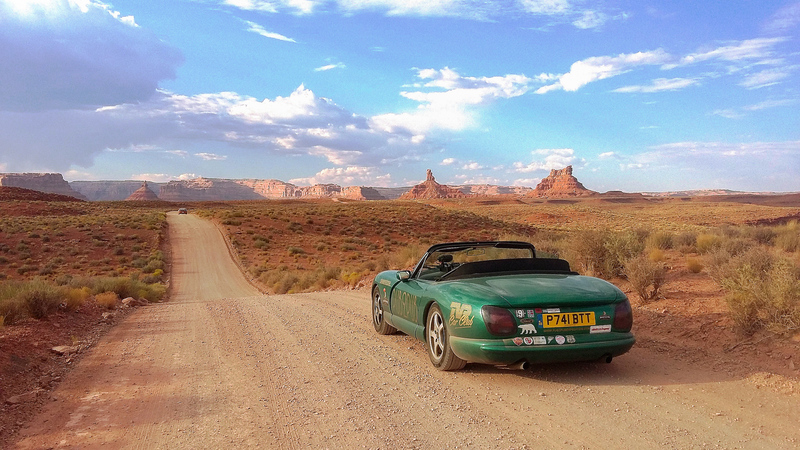 Nine thousand miles into its adventure, our steed was taking its toughest challenge yet in its stride. The lowest point on the North American continent, and one of the hottest places on Earth. People had said that we were fools to take on the challenge in such a vehicle. They said it would overheat in the desert, or be shaken apart by corrugated tracks. But in Death Valley, as we wilted in the heat, we took comfort in the fact that the car at least, seemed to have everything in hand. With only one third of the distance complete, and the toughest part of the trip still to come, it boded well. Watching the familiar fall away as we crossed from Arizona into Mexico. Across the border, the world changed. Traffic churned chaotically—battered, unloved vehicles kicked up dust that hung in the air and softened the harsh outlines of the buildings which crowded in around us. Pickup trucks edged through the melee, crammed with edgy-looking police or soldiers, guns at the ready. After the laidback spaciousness of Arizona, our first taste of Mexico was sensory overload. And as we drove on into this intense new world, we suddenly felt very conspicuous in our shouty little green convertible. But this nervousness was overshadowed by our building excitement. We entered a world that was more unpredictable, but also potentially more rewarding than any we’d passed through on the trip so far—a world where anything could happen. 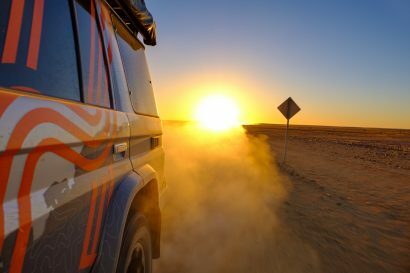 But isn’t that leap from one’s comfort zone the whole point of an overlanding adventure? Trapped between countries by red tape and bureaucracy. It was my fifth day at the border. My fifth day sleeping in the car, trying to break the deadlock. 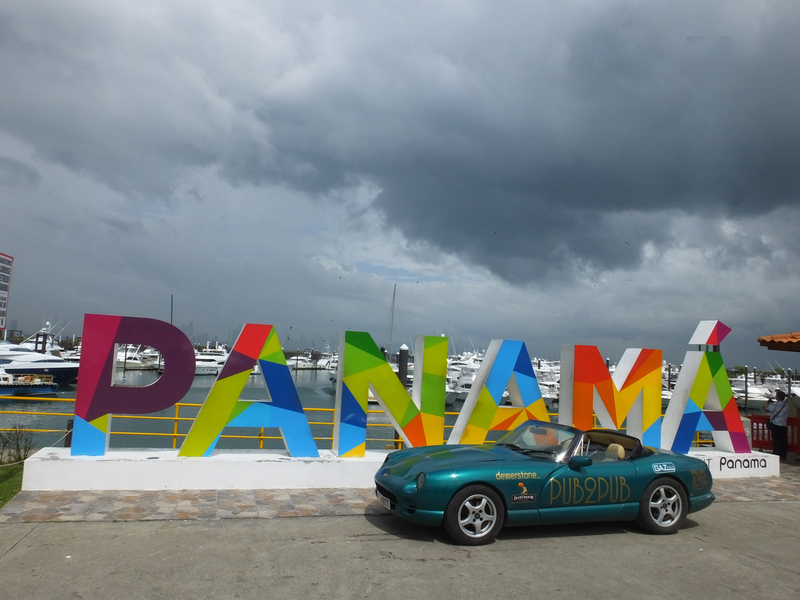 Costa Rica wouldn’t allow my car on the road there because being British, it was right-hand drive, and to add to our problems, the truck I’d pre-arranged to transport my car across the country didn’t have the right paperwork for the job. To cap it all, Nicaragua—which we’d left five days earlier—had inexplicably refused to let the car back in, also because the steering wheel was on the right. I was trapped in no-man’s-land. For those five days, I’d been living between the two countries, a homeless alien at the mercy of bored customs officers and police. I didn’t know the solution but this didn’t seem to matter. I’d overcome enough obstacles in my travels, and somehow I knew this would be no different. And anyway, it’s the obstacles which make the journey, right? Without obstacles, without problems, where’s the adventure? In a twisted sense of logic, it was for moments like this which I’d undertaken the trip—moments when you find yourself immersed deep in the experience and feel almost a passenger to it. 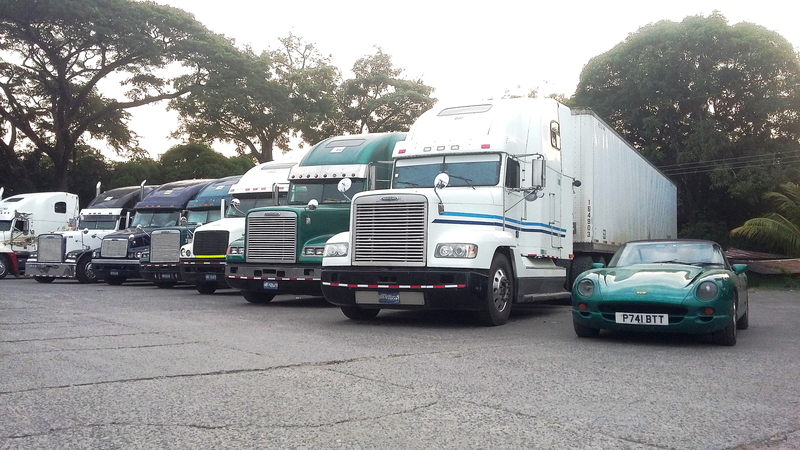 But despite the problems, I hadn’t came this far just to fail at the Costa Rican border. I was relaxed. I’d find a way through—I just knew it. Blowing away the Christmas hangover by racing a horse across a field on Boxing Day. 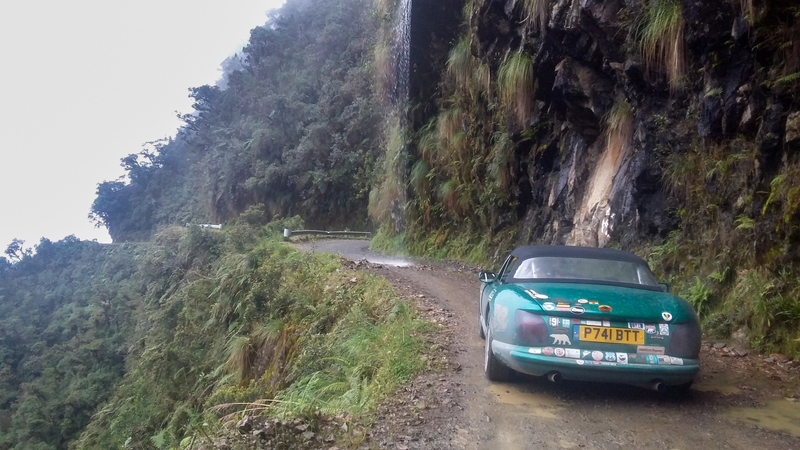 The effects of the previous day’s excesses were slowly receding from my mind as I accelerated the TVR across a field in rural Colombia. To my right, a friend spurred her horse forward as we raced away, while all around us, dogs joined in the charge. After the lows of the Costa Rican border, this heady high in Colombia’s gorgeous coffee-growing country felt all the better for having been earned through adversity. As we raced, I found myself wondering what had led me to be spending Boxing Day on the side of a hill in Central Colombia, racing a horse across a field? What had led me all that way, 17,000 road-miles from England, to this moment in my life? At the time, it didn’t seem important. All the best memories have a hint of randomness about them, an irreverent lack of respect for conformity. 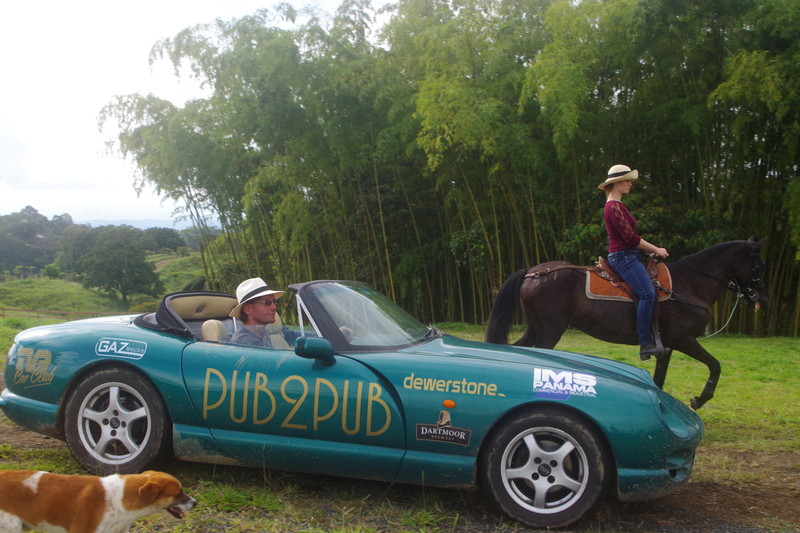 And the glorious randomness of that time I raced my sports car against a horse across a Colombian field on Boxing Day had a gravitas I knew I’d never forget. Oh, and in case you were wondering, the car won. Teetering above the abyss on the most dangerous road of them all. To my left, there was nothing. The track beneath our tyres ended abruptly before plummeting into the clouds which churned and twisted below—thousands of feet of emptiness, sweeping down into the jungle canopy below. Rain poured down relentlessly, muddying the rough track and causing waterfalls to sweep down from the cliffs above, directly into our path. 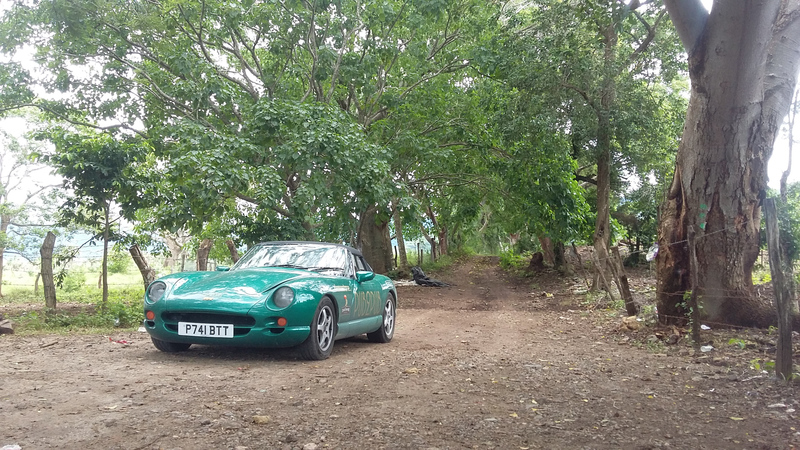 Our low-slung TVR splashed along casually, taking the brutal conditions in its stride as its underside scraped through the gravel, inches from the abyss. We were descending one of the most dangerous roads in the world, in a car which was designed to be driven to the pub in England’s home counties. But somehow we knew it would be fine. 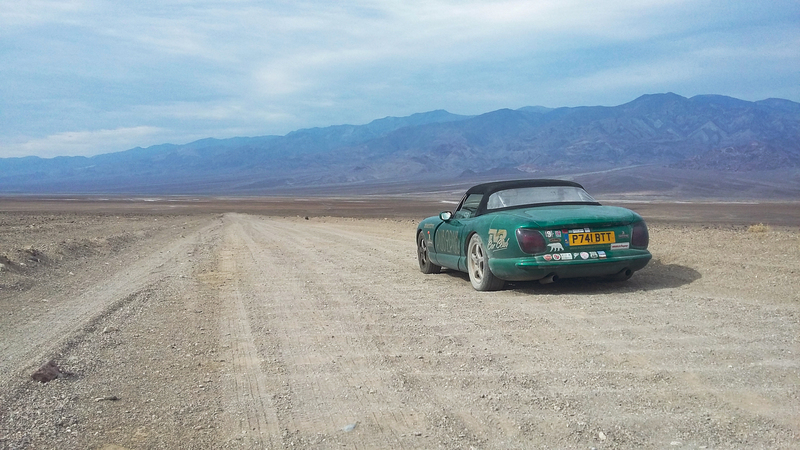 After so long on the road, our confidence in the plucky TVR was unshakable. In spite of all the dangers, we just knew it would see us through the challenge safely. 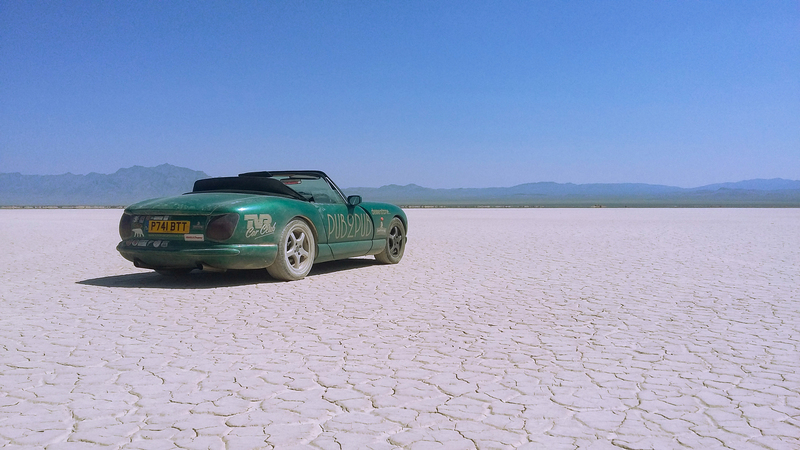 Driving into the sky on the world’s largest salt flats. 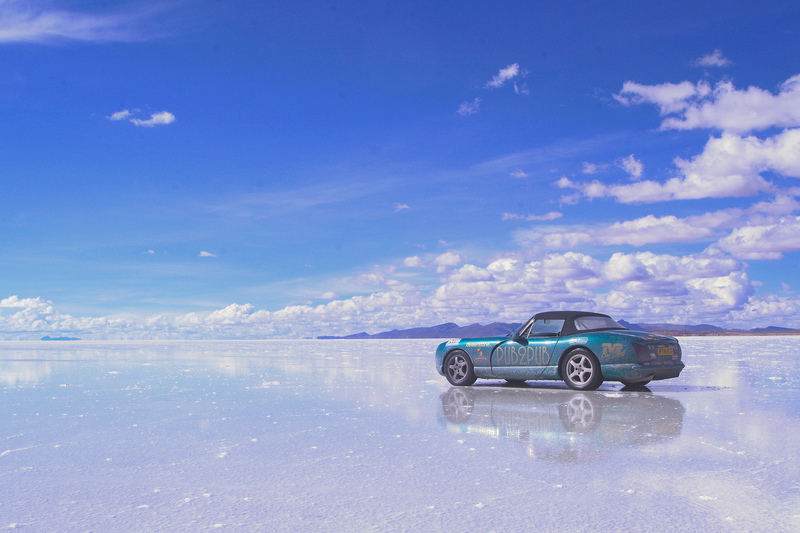 The rains had reached Bolivia’s famous salt flats a few weeks before us, flooding their entire surface. 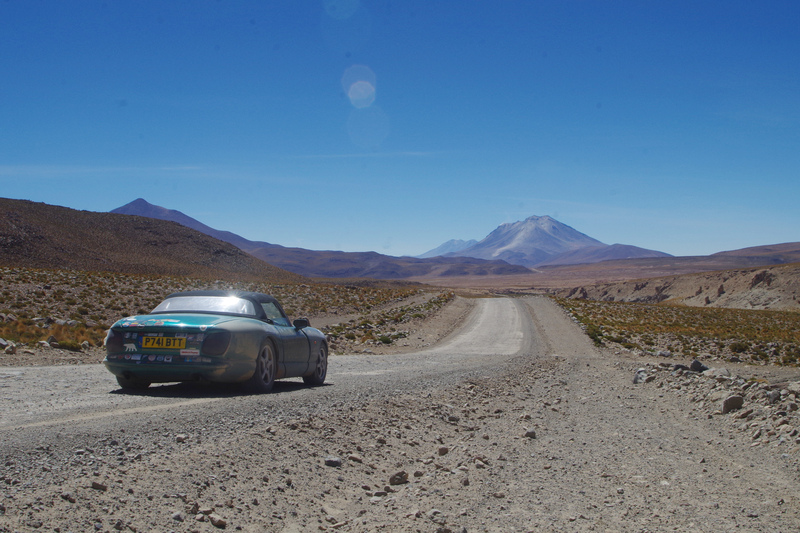 We’d been dreaming of driving the TVR onto the famous Salar de Uyuni ever since we’d left England but now we had to decide whether it was worth the risk. There was only about an inch of floodwater covering the salt, but water running off the flats had cut channels up to a foot deep. We’d have to cross these channels to gain access to the wider surface of the salt flats, and the only other vehicles making the crossing were Toyota Land Cruisers and trucks. But we had one thing going for us: ambition. We’d not driven all the way from England just to give up on a dream. For 40 minutes we walked the salt, plotting a route through the torrents. Then we shielded the engine’s air intake with a sheet of plastic, fired up the engine, and went for it. Salty water flew everywhere, while our road-biased tyres struggled for grip on the mushy, submerged surface. But we did it. We made it through and found ourselves driving in another world, a world where the sky is reflected beneath you, the horizon disappears, and the surreal sensation of driving in the sky is complete. Heading south across sweeping plains, as the continent narrowed around us. There is something truly unique about Patagonia. The landscape is an exercise in emptiness—bleak emptiness of the best kind. 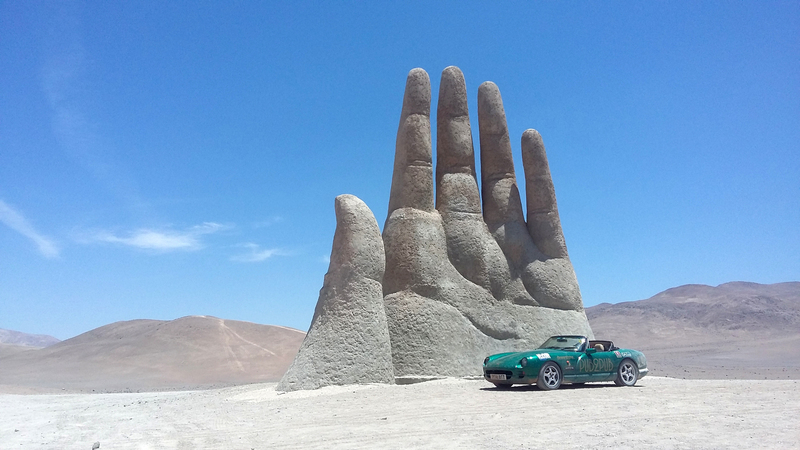 For hour after hour, day after day, we roared south across its unchanging vistas on Argentina’s mother road: Ruta 40. Our world was an empty grassland beneath the vast dome of the sky which dripped with stars every night. To our right, the plains swept away from us to flirt with the ethereal mountains which checked our progress—the southern reaches of the great Andean range which had been a constant in our journey ever since we reached South America. The way in which Patagonia’s landscapes bridge the gap between monotony and magnificence makes it the perfect place to lose yourself in thought. A place where your mind drifts off on tangents, your thoughts inspired by those glorious surroundings of magnificent desolation. But above all, it’s a place to savour your position on the Earth’s surface as you crawl on south, feeling the continent narrow around you as you reel in the tip of South America—the end of the world. Sailing through storm-strafed channels to the bar at the end of the world. For 24 hours, the ship had been plying waters which dripped in legend. The Straits of Magellan, Drake Passage, and Beagle Strait. Names which hark back to an altogether bolder age of adventure, now immortalised by the discoveries for which they risked their lives. Either side of the claustrophobic channels along which we sailed, mountains still mottled by the winter snows thrust directly from the sea. Showers scudded past us while periodically, a whale or seal would surface and observe our progress. After so much land-based travel, the voyage had an air of surrealism about it, and the end of the world felt close. Very close. 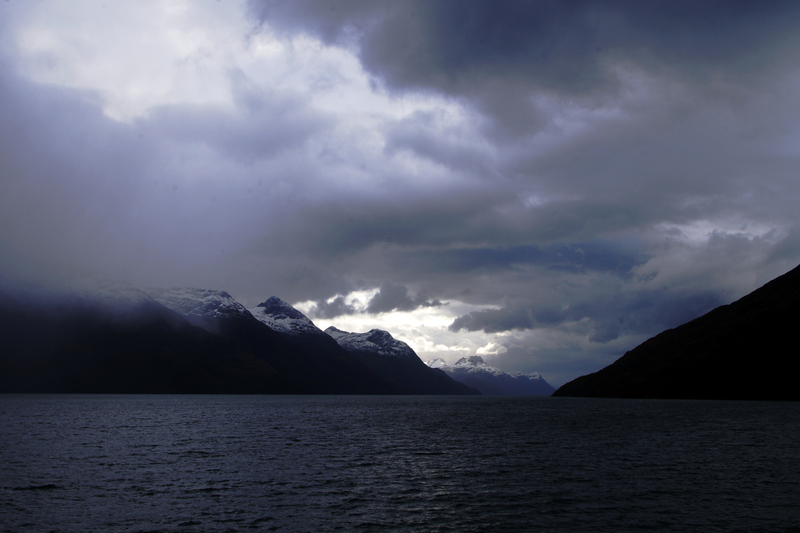 And then, as the rain fell softly in the middle of the smothering night, on the south side of the Beagle Channel, we reached it. Puerto Williams, the last town on Earth. I disembarked into the pitch black, hunkered down against the rain, and wandered off to find a beer. 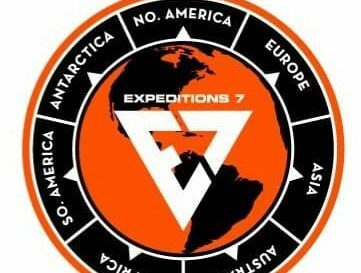 The Pub2Pub Expedition covered 27,000 miles across 25 countries between July 2017 and April 2018. You can read more about the journey on the website: pub2pubexpedition.com.